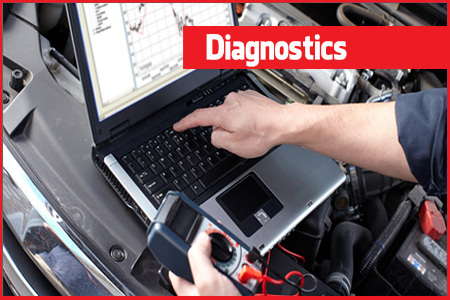 Specialists in Vehicle Diagnostics – What is Vehicle Diagnostics? In addition to the usual engine parts and components that make up a car, modern cars also include a lot of computer technology. This is where a vehicle diagnostic test can help you. The Full explanation of these engine warning lights will be included in the cars drivers’ manual to help you diagnose what the issue is. By increasing the computerised components in cars, in many ways it has made it easier for the consumer and the mechanics to diagnose exactly what the issues is. A car diagnostic check is vital in most cases to determine and pinpoint what might be causing issues like misfire, sensor issues, braking issues, fuel injectors and general engine faults. Once the fault is identified this can then be discussed with the customer and authorised for repair.